You can dry yourself off and put that sweat-drenched worry blanket away. Yes, there will be a SpongeBob Squarepants 3! 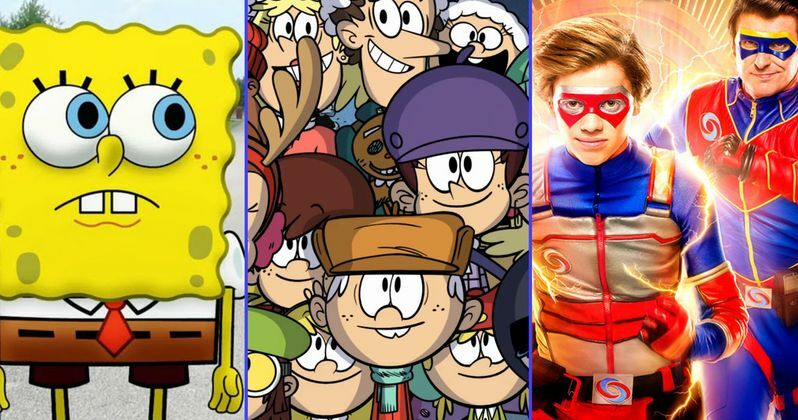 President of Viacom's Nickelodeon Group Cyma Zarghami confirmed the sequel based on the popular animated series is officially moving forward. And Viacom CEO Bob Bakish backed this up saying the SpongeBob cinematic universe provides a strategic blueprint for all of the company's brands. Zarghami and Bakish were participating in Thursday's quarterly earnings conference call for the conglomerate known as Viacom, which owns Nickelodeon. The success of Nickelodeon was a hot topic during the call, and Bakish wants to use their strategy moving forward with his company. Viacom plans to make quite a few more Nickelodeon movies in collaboration with Paramount Pictures, and you can expect plenty of Nickelodeon merchandise to be hitting store shelves over the next couple of years. Says Bakish. "Under Cyma Zarghami, Nickelodeon has already built a strong foundation for what we're trying to achieve with all our flagship brands." Several years ago, Wall Street viewed Nickelodeon as ratings and growth challenged, but now it rivals the success of Disney Channel. Cyma Zarghami credited the success to her team's ability to constantly launch new content that is fresh and challenging to consumers. She went onto highlight Paw Patrol as the number one show for preschoolers. So a Paw Patrol movie isn't probably out of the question. Nickelodeon has also found a lot of success with their rebooted Teenage Mutant Ninja Turtles animated show. And SpongeBob Squarepants is an evergreen power house that never stops being popular. That's the main reason fans are 'definitely' getting another movie. Also coming to a theater near you in the next few years are movies based on the popular Nickelodeon series Henry Danger and The Loud House. There will be plenty of toys and even some theme park experiences launched to revolve around these movie releases too. Zarghami went onto mentioned the recent launch of an entertainment lab, which will serve as a technology incubator for virtual reality, augmented reality and artificial intelligence all based around Nickelodeon properties. Before long, fans will be able to go swimming with SpongeBob under the ocean. Zarghami went onto make this vow according to The Hollywood Reporter. "We will continue to be laser-focused on cementing our brand position in the hearts and minds of the next generation of kids and families." SpongeBob 3 is expected to hit theaters in February 2018, though no release dates were mentioned for Henry Danger or The Loud House. In Henry Danger, Henry lands a part-time job as Kid Danger, a sidekick-in-training to super-crimefighter Captain Man. The perks are awesome: $9 an hour, high-tech gadgets to use and, best of all, Henry gets to save the world! Yet he must keep the gig secret from his best friends, Charlotte and Jasper, and little sister, Piper, even as adventures with Captain Man throw Henry's life absurdly out of whack. Loud House is an animated sitcom that follows the crowded Loud household, with 11 children, 10 girls and one boy, causing craziness in the house. As the only boy, 11-year-old Lincoln is in the middle of all of the chaos. Whether his sisters are giving him unwanted makeovers or he's racing them to the couch to gain control of the TV, Lincoln is often getting involved in antics with his siblings. Lincoln's best friend Clyde, who happens to be an only child, is jealous of Lincoln's large family and is always willing to play his part in the schemes. Clyde has a crush on Lori, Lincoln's oldest sister and self-proclaimed boss, who is dating Bobby, who holds many jobs, including lifeguard and mall security guard, even though he's not very smart.